What is a USDA Organic Certification? Organic refers to a specific way of growing and processing foods and is defined as produce which is grown, packaged and stored without the use of synthetic fertilizers, pesticides, herbicides or irradiation. Farmers with a USDA Organic Certification use a blend of old and new technologies as well as scientific research to maintain ecological harmony, instead of relying on synthetic solutions. Working with nature, they are able to replenish the nutrients in the soil through crop rotation, cultivating and composting. Because of their dedication to omit the usual chemicals to prevent pests and diseases, the soil is healthier and therefore produces healthier plants. This makes them less susceptible to pests, disease or other unique Florida challenges. Find current farm properties in your area in our property search pages. Who Does the USDA Organic Certification in Florida? 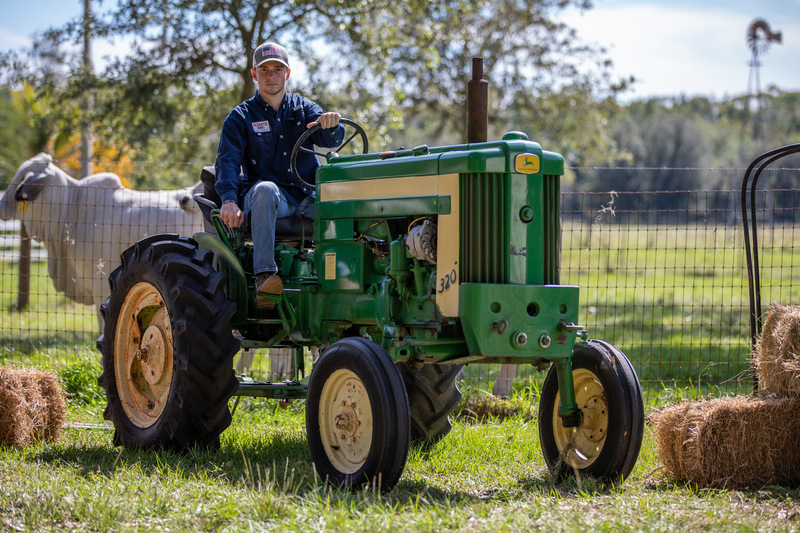 While the Florida Department of Agriculture and Consumer Services does not regulate or certify organic farms in Florida, certification can be obtained through the Accredited Certifying Agents (ACAs) which are listed under the U.S. Department of Agriculture. Florida has two ACAs, Americert International and Quality Certification Services which are both located in Gainesville. There Are 5 Basic Steps in the USDA Organic Certification Process in Florida. The farm or business adopts organic practices and selects a USDA accredited certifying agent. How Much Does USDA Organic Certification Cost? Actual cost varies based on several factors like the ACA, size, complexity and type of operation. Price can vary from a few hundred to several thousand dollars. You will want to ask your certifier for a fee structure and billing cycle. Usually, there is an application fee, annual renewal fee, assessment on annual production or sales and inspection fee. However, once you are certified, the USDA Organic Certification Cost-Share Programs can reimburse eligible operations by as much as 75% of their certification costs. Any property that is intended for organic crops must not have had any prohibited substances applied to it for the past three years. Until the full 36-month transition period is met, you are not allowed to sell, label or represent the product as “organic”. You may not use the USDA organic or certifying agent’s seal either.